I'm new to Minimus - what do I need to begin?  A copy of the pupil's book Minimus - starting out in Latin for each pupil.  One copy, at least, per school of the Teachers' Resource Book.  The accompanying CD, on which all the picture stories are recorded. Where do I buy these materials ? The above 3 items are all published by Cambridge University Press (CUP) and any bookshop will order them for you. We recommend the Hellenic Bookservice in London, which has an excellent stock of Classics books of all kinds for all ages, both new and second hand. They are extremely helpful in supplying schools. The iBook is available from the Apple iBookstore. What other materials are available? 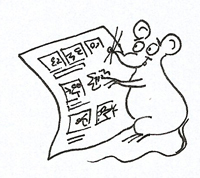 Minimusculus, our newest publication. It's a little book for children from 3 to 7, introducing the characters. It has stories, games and information about life at Vindolanda, and costs £5. Available from Minimus et cetera.  A workbook for pupils, published in 2015.This has 2 pages of grammar reinforcement exercises for each chapter of Minimus , so it is 24 pages long, and only costs £1 per copy + postage and packing. Thanks to Helen Forte's superb illustrations, it hardly looks like a grammar book.Teachers report that both they and the children love these books as they are proof of what the children are learning and show evidence of progress – useful to show inspectors. NB This is only available through our business Minimus et cetera.  3 sets of Minibooks (10 books in each set) which provide extra reading material for able students who work quickly.If there is a set of Minibooks in the classroom they can also be used in drama activities when different groups work out the meaning of one short story and act it out to the others; they can also be used as prizes for competitions. NB: In all 3 sets of books there are coloured front covers, black and white line drawings and one or two sentences of Latin on each page.There is also a page of vocabulary help at the back of each book.These were written in response to requests from teachers. 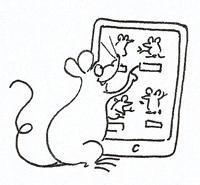 Set 1 is suitable for pupils studying Minimus ; Sets 2 and 3 for those on Minimus Secundus.  Minimus in Practice , a cross- curricular book, which examines the way that Latin, through Minimus , can enhance all areas of the primary curriculum.It also contains quizzes and suggested activities throughout the school year. It was written to share the good practice that I have been fortunate to see as I have met teachers using Minimus during the last 20 years.  There are over 40 Teaching Support Sheets which are available free and can be downloaded from here.  A selection of Pencils, Key-rings, Fridge Magnets, Rulers, Incentive Stickers, etc are available from our business Minimus et cetera . Click here for an order form. 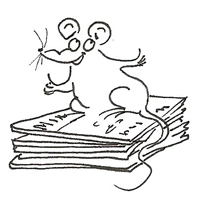 NB: Please note that the Workbooks, the Minibooks, Minimus in Practice and all small stationery items are available from our business Minimus-et-Cetera . It is possible to pay by cheque, bank transfer or by PayPal; those living abroad can also pay in their own currency. If you wish to send an order form or cheque through the post the address is Nick Bell, Minimus et cetera, 82 Swiss Drive, Ashton, Bristol, BS3 2RW. 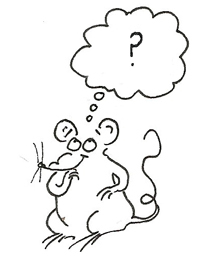  The pupils' book - Minimus Secundus – moving on in Latin .  An accompanying Teacher's Resource Book.  A CD which has recorded picture stories. Please send us your e-mail contact details, or update your current details if they have changed, so that you can be added to the Primary Latin Project Mailing List .You will then receive our termly Newsletter and any other Minimus information we send out. Hellenic Bookservice gives 10% discount and offers free delivery to schools on orders over £50. Amazon has a variable P&P depending upon the speed of the delivery. It is free on larger orders, if there is no rush.